The death of Microsoft XP is a few weeks away. The Redmond based company has offered customers $100 in store credit if they upgrade from Windows XP to the newer Windows 8.1 computer. 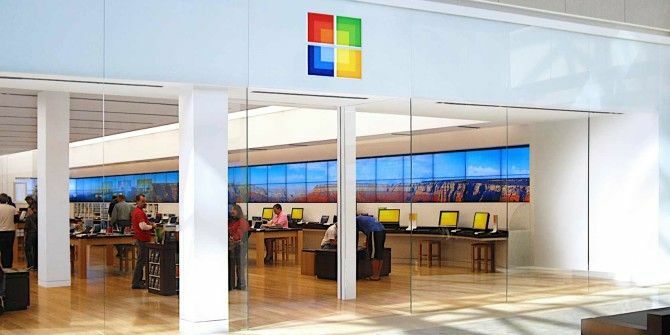 Customers can make the purchase from Microsoft’s online store and its retail outlets in the United States, Canada, and Puerto Rico. The offer is valid till 15th June or till stocks last and is limited to one device per person. The discounted deal comes packaged with 90 days of free technical support. Qualifying customers will also get a free Laplink data transfer service. The software helps to automatically transfers data from a Windows XP PC to one powered by Windows 8.1. Before you queue up, there are several important caveats to keep in mind. The $100 credit deal is limited to computers and laptops in the price bracket of $599 to $2,299. No discounts are on offer for devices below that price band. You can view the complete list of eligible PCs on the online store. It includes Surface Pro 2 tablets (64 GB onwards) and computers from the Dell, HP, Asus, Lenovo, and Samsung stables. It is only for genuine Windows XP users and they will have to verify that they are currently using a Windows XP machine. If you are saddled with an old machine and are thinking of an upgrade, $100 is a nice bundle of savings. You also move up to a more modern computer ahead of April 8, when the company releases its final security updates for the 13 year old operating system. Is it a deal worth considering if you are in the U.S.? Is it a promotional carrot you would rather ignore? Explore more about: Microsoft, Windows 8, Windows XP. Too bad they're not offering a $100 discount on a Chromebook. That might make it worth it. Its the worlds most popular free OS. It has free upgrades & security updates. Because the Linux option is free & now so easy (user friendly) one must give it a try. You have so much to gain. One can even dual boot Linux with Windows. Put a Linux distro on your old XP pc to play around with and hopefully turn into your workhorse pc and get a Windows 7 pc instead of an 8.1, it sure as hell will be less than $600/$2200 and you'll have 2 computers, one of which will be familiar to your xp experience. So they are essentially giving Win 8.1 away for free when you upgrade from XP. They really should just sell full Win 8.1 installs for $50 to anyone and upgrade installs for $29. Though Windows 8.1 is by no way a popular have-to-get-it OS for many (based on comments over the past year), I would probably buy an upgrade for $29 just to try it out. As of right now, it's Win 7 until I'm ready to build my next PC. Which is probably a year away. Though I may have to hold off until Windows 9. 1. A way to test web-page development for IE compatibility (wish I didn't need that, but do). 3. Really good MS Office compatibility. Did the Windows Open Office thing for a few years; went back to MS Office and just find the whole MS Office experience to be better for my tastes personally. Though I do like Google docs and can probably get away with the features of the free MS Office Online I would rather not always have to create my docs on someone else's servers and keep most of my stuff local. 4. I don't mind the Linux terminal so much, but would rather have good GUI front-ends for a lot of the stuff Windows GUI users take for granted on Windows 7. The Windows 7 GUI experience, again in my own personal tastes, seems more polished than most Linux desktop environments. Though I do really like Cinnamon for something polished and Windows 7-like without feeling bloated like KDE feels to me personally. I love Linux as an appliance (ie. XBMC media center, Samba file server, web server, etc...), but for me personally, the jury is still out as a primary workstation. I applaud those who made the full-time switch from Windows to Linux as a primary desktop without "cheating" with a dual-boot scenario or Windows VM. 1. That's like asking for the ability to test the Linux kernel in Windows. It is platform specific. If M$ adhered to W3C standard like everybody else, you could test for IE compatibility under any O/S. 2. Check out http://portablelinuxapps.org Search MUO for articles on Portable Apps. 3. ??? Do you want OpenOffice/LibreOffice to look exactly like MS Office? Or are referring to MS Office-specific functions and macros? 4. What specific GUI apps do you mean? In Linux, as in Windows, command line gives the user better controll over the system than GUI. Besides, some commands cannot/should not be excuted with the GUI running. Have you tried LXDE, RazorQT or Enlightment DEs? I use the turbotax website in Firefox for my taxes (have been for at least 10 years), so I would assume it would work in Firefox under Linux, but have never done that to say for sure. 1. I know. Wish there was another way. 2. Oooh, thanks for reminding me :) What I don't like is that the apps seem quite old compared to the constantly updated portableapps.com for Windows. 3. Referring really to compatibility. But some other specific issues I didn't appreciate, like tables in Open Office would slightly change in size upon constantly closing and re-opening the same text file. Positions of images would just change when opening the same text document weeks later. This would be when working with a .doc file created in OO and later re-opened in OO. Granted that was several years ago and made my choice to switch back to MS Word much easier. I had written two entire books with tables and images in OO. When I went back months after the books were finished to look at the files, tables were bigger and changed the page numbering, images were changed in position, overlapped or moved to the next page, ruining the layout of the books. I hadn't touched the final version and just went back to open the files months later. Not fun to see a 150 page book no longer being laid out correctly even though the files were not touched. I even opened the files in MS Word, and the "changed" formatting was still there. Don't know if this is the case with Libre Office, but no reason to check as MS Word has worked perfectly for my needs. 4. Nothing specific. I just feel that GUI applications (not metro apps) in Windows seem to be more feature rich and have more options. The R & D that goes into software on Windows just seems to produce something that just feels better. Again, personal taste, I guess. I like Cinnamon the best. Also like XFCE. Both give a similar feel to Win 7. LXDE just feels too Win 95 for my tastes. Gnome Shell and Enlightment look very nice, but I like desktop icons. I guess they can both be hacked to provide desktop icons though. I have not heard of RazorQT. Though Windows will stay as my primary desktop OS, I do like Linux for my HTPC and am looking forward to see how Ubuntu Touch does on phones and tablets. I'm even considering a Chromebook with Crouton as a tablet replacement. You omitted one condition of the deal - You must prove you are, in fact, still using XP. "If you are saddled with an old machine and are thinking of an upgrade, $100 is a nice bundle of savings. "Is it a deal worth considering if you are in the U.S.?" Maybe for the Window Wretches it would be a deal worth considering. If I were to get a new computer, it would be something of my choosing, not something that M$ is trying to foist upon me. Mentioned: "It is only for genuine Windows XP users and they will have to verify that they are currently using a Windows XP machine." They have to bring the machine to the retail store. The terms mentions --"... or customer who present a qualifying Windows XP device during purchase(s) in-store only. " I wonder what the cost of filling up the gas and driving to the nearest retail store is like in the U.S.? Does the hard work justify the $100 discount?